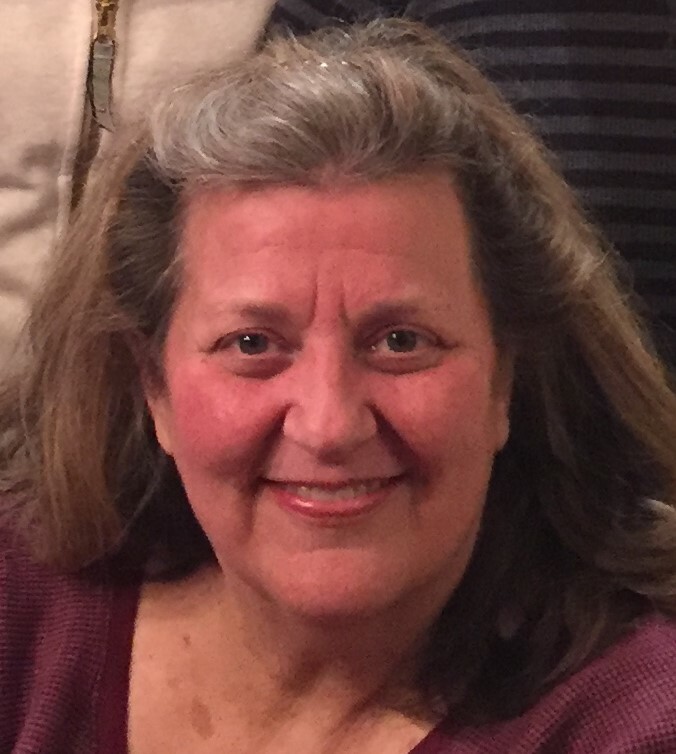 Martha Lynn “Marti” Slade, beloved wife, mother and friend, passed Thursday, January 24, 2019 and has taken on her new “adventure” into the eternities. She was born June 26, 1953 in Phoenix, Arizona to Richard and Lorraine Moffat and was the third child of 7 children. Her family lived in Scottsdale where she attended Kiva Elementary School through her childhood years. In 1967 the family moved to Mesa and lived in a large home with a recreational “barn” out back at 2601 E. Brown Road. That location became a hub of fun activities and social events throughout their lives. Marti attended Kino Jr. High through 1968 and then Westwood High School, graduating in 1971. Marti was actively involved in school musicals, choirs and club activities. One of her favorite things to do was sing and play the piano. She had a distinctive and powerful voice and became well known for her singing ability and presence wherever she was, throughout her life. After high school she attended Brigham Young University, Provo and graduated with a Bachelor’s degree in accounting. She utilized that skill throughout her rest of her adult life in many venues. Among her several talents was that of quilting. She became a master quilter and has many on display in the home, like a virtual gallery. She was also a “super-prepper” and loved to do home canning and preserves, dutifully following the counsel and directive of the L.D.S. church leaders to be prepared for many types of emergency contingencies. Her greatest skill was talking. She was far and away a great conversationalist and could talk on the phone, or in person, for hours at a time – literally. In truth, she would rather talk than eat, but in fairness she was a good listener, too. Many a friend, male or female, could attest to this. Marti was very much a people person and was a beacon of light wherever she went. In 1994 she met and married Fred Slade in the Mesa, Arizona Temple and was a faithful and stalwart member of The Church of Jesus Christ of Latter-day Saints throughout her life. She is survived by her husband, Fred, son, Scott (21), step-sons, Mark (Kathy) Slade, Eric (Kierra) Slade and Jeff Slade, 4 step-grandsons and 1 step-granddaughter. She is preceded in death by her father, Richard (in 1995) but survived by her mother, Lorraine (94), sister, Chris (Kent) Rhodes, brother, Parker (Peg) Moffat, sister, MerryAnn (Steve) Prince, brother, Craig (Diana) Moffat, brother, Roger (Christine) Moffat and sister, Mindy (Eldon) Thomas. Funeral services will be held Saturday, Feb. 2nd, 2019 at 10 a.m. in the Mesa North Stake Center of the The Church of Jesus Christ of Latter-day Saints, 933 E. Brown Road, Mesa, Arizona 85203. General visitation and viewing will be Feb. 1st, 2019 from 6 p.m. – 8 p.m. at Bunker Mortuary Garden Chapel, 33 N. Centennial Way, Mesa, Arizona 85201. Prior to the funeral the family visitation and prayer will be at the same location as the funeral at 9 a.m. Internment will be at the Mesa Cemetery, 1212 N. Center St. Mesa, Arizona 85201. Marti would be the first person to call if you needed anything. She would stop and drop and donate any amount of time to help and be a friend. She helped me make two beautiful quilts. She was brilliant. She had a mind and memory like no other! I never saw her be anything but kind, and fun, and full of love and laughter!!! Her life and skills and talents are unparalleled. She inspires us to be better people! I have no doubt she is happy and working and surrounded by so many people she loves now, but I feel the world is a little darker without her bright spirit! How exacting are the above words of my sister Barbara Parker– My dear friend Marti was always there and giving–she loved the Lord and lived her life accordingly. The friendship that we shared over the last 50 plus years will never be forgotten. Marti has taught me countless things from sewing to cooking to the gospel. There are no words to ease the loss and for her sweet Scott… oh Scott how much your mother loved you! Marti– I do not know what I will do without you to call and counsel with— No one could ask for a kinder friend. She has a memory and mind like no other! As said so eloquently above my my sister, she was there for anyone who needed her — I never saw her be anything but kind, fun, full of love and laughter! Marti my friend, I love you so! My heart goes out to your family. Marti was a great asset and friend in the singles ward, such a beautiful and strong voice and fun activities. More recently strong political convictions brought us back together again. What a great loss. Oh I remember Marti well……she was always full of energy, happy to see you…..with her big smile and sparking eyes!! We were classmates at Westwood High School. I’m sad to hear she has passed away, sending comforting prayers to her family. You will be missed.